73V is an expansion of the technique used to create Bocci’s popular 73 series. 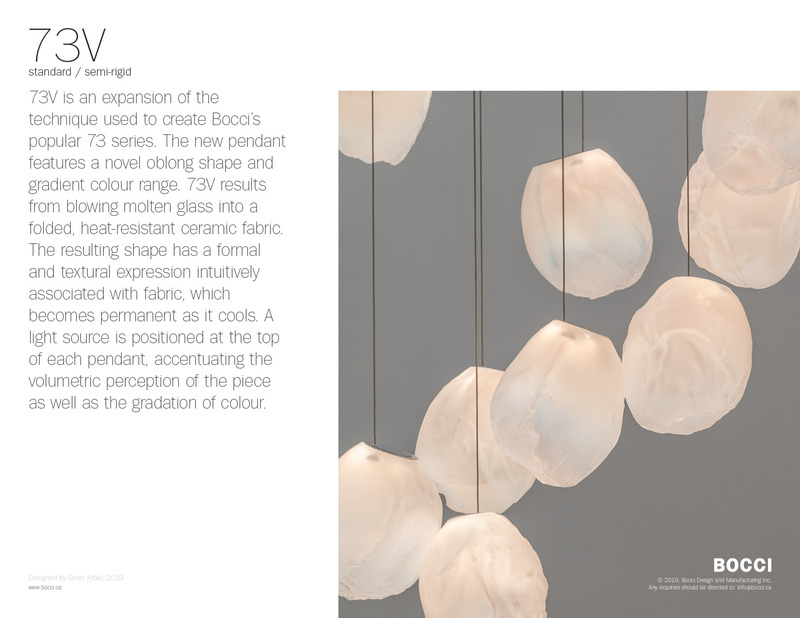 The new pendant features a novel oblong shape and gradient colour range. 73V results from blowing molten glass into a folded, heat-resistant ceramic fabric. The resulting shape has a formal and textural expression intuitively associated with fabric, which becomes permanent as it cools. A light source is positioned at the top of each pendant, accentuating the volumetric perception of the piece as well as the gradation of colour.